We are delighted to announce that the Total Theatre Magazine Print Archive is now online – a valuable resource for artists, students, scholars, journalists, and anybody interested in Britain’s alternative theatre and performance history. This has been made possible by a substantial grant through the Heritage Lottery Fund’s Our Heritage programme. The Total Theatre Magazine Print Archive website features every print issue of Total Theatre Magazine (1989–2012), available as a PDF, with the original design preserved; together with all of the magazine’s feature articles and reviews reformatted into a fully searchable archive that can be explored via issue number, writer, artist or company, artform or topic. Over the coming weeks we will be publishing new material created in response to the archive: interviews with established artists and arts industry giants whose paths have run in tandem to Total Theatre Magazine’s print history; commissioned articles by the magazine’s regular contributors; and new writings that have emerged from the work we have done with our Heritage Volunteers and with the members of the Artists as Writers group mentored as part of the programme. The launch event will precede two fabulous ‘total theatre’ work-in-progress shows being presented as part of SPRINT festival: The First Time as Tragedy, by Venice as a Dolphin in association with Coney and HighTide is at 5.30pm; and Drawing the Line by Hidden Track Theatre is at 7.15pm. The Total Theatre Magazine editorial team will be around before and between the shows to chat about the archive. 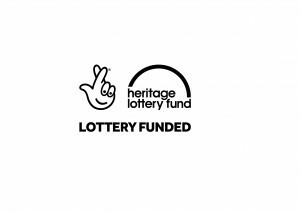 Total Theatre Magazine has received financial support from Heritage Lottery Fund’s Our Heritage, and a number of leading institutions and organisations, including: Rose Bruford College of Theatre & Performance, Royal Conservatoire Scotland, and The Attenborough Centre of Creative Arts at University of Sussex. The project has been supported by The Keep National Archive Centre, Sussex. We have also received support in kind from a diverse range of arts organisations and individuals.